The UK has some great quality drugstore brands that come in at a realistic drugstore price tag too. But with how easy it is to find out about stuff in other countries it is easy to wonder what they have on offer. I have never had the chance to go to the USA or North America so I hear of so many brands on twitter, instagram, blogs and youtube and become so incredibly interested in them. 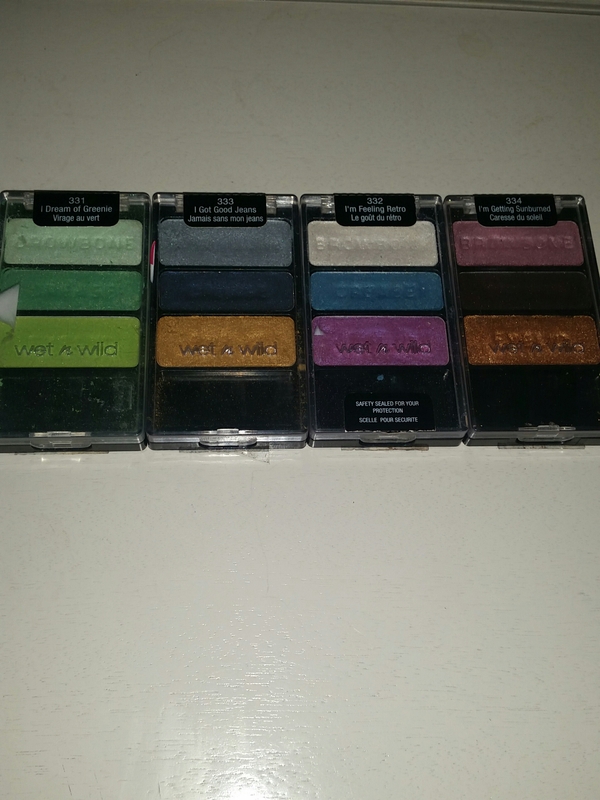 Somebody in the UK was recently passing on some wet n wild trios they had with a bunch of other stuff and I could not resist getting them into my collection. 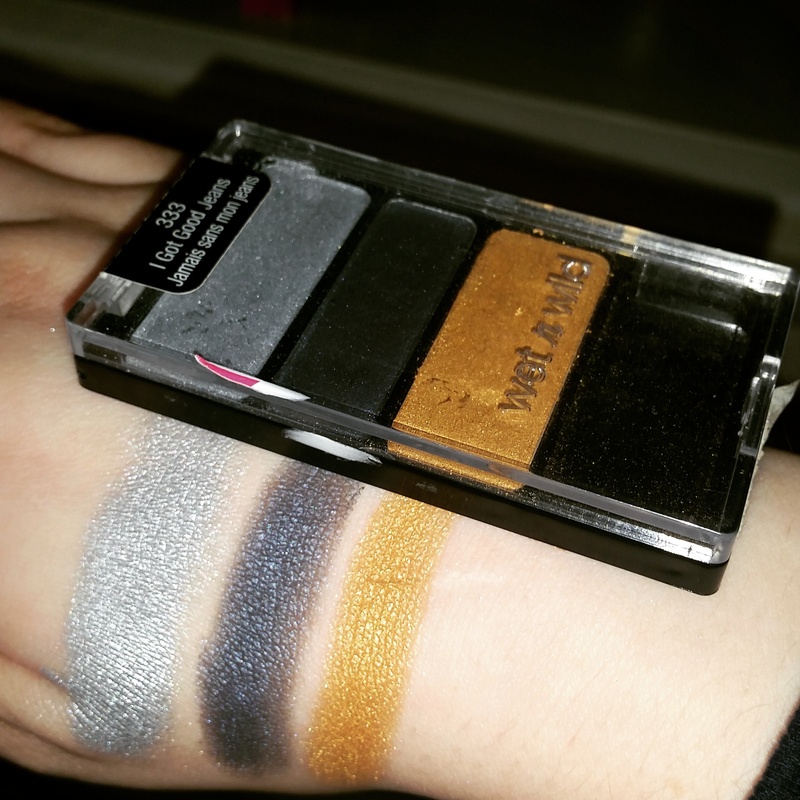 The four in question are all so very different and can easily be used to create a whole eye look without digging around for other shadows or palettes. Looking at them for the first time in person I was in love with two of them but a little unsure if I could pull the other two off. This first trio, I’m getting sunburned, is one that I absolutely love the look of. It is full of colours that I feel comfortable with wearing in various amounts and I know how to blend them together to get the most out of them. 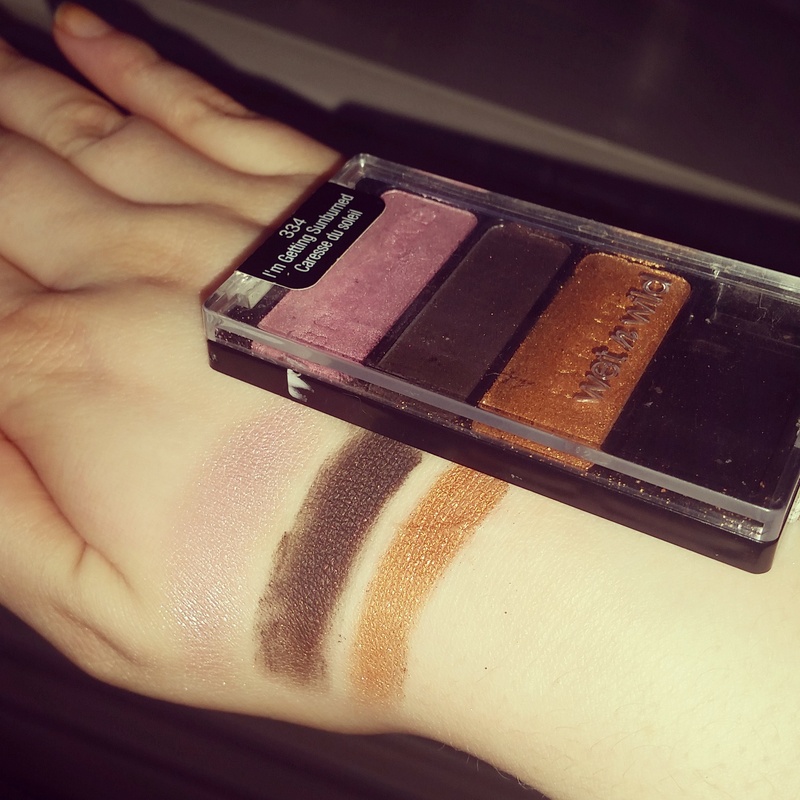 These three swatch well although I am not too sure about the brown shade as it is a little more powdery and without building it up it is a little on the patchy side. Originally I was a little nervous about using the pink as the browbone shade as the product recommends but it is nice and light with only a little bit of sparkle so from the swatch I felt a lot more okay about using it in that way. This was one of the palettes that at first look I felt a little nervous about. The colours really took my back to when I was 13/14 in the mid 2000s and tried to mess around with a blue and pink eyeshadow look. Of course at that age I had no understanding of blending or anything so it looked an absolute mess. I am willing to give this palette a try in the order and way that they suggest but I think I am just likely to pull the odd shade from them for looks that will flatter me a little more. However I might be surprised after giving it a try. I absolutely love the look of this quad. The gold/bronze shade really calls out to me and I cannot wait to put it on my eyes to really create a pop. How that gold shade will work with the blues is something I am unsure of and the intensity and shimmer in the light blue that is suggested for the browbone makes me a little confused too as I just feel this would give a really overpowering eye look unless a really gentle hand is used when applying them. 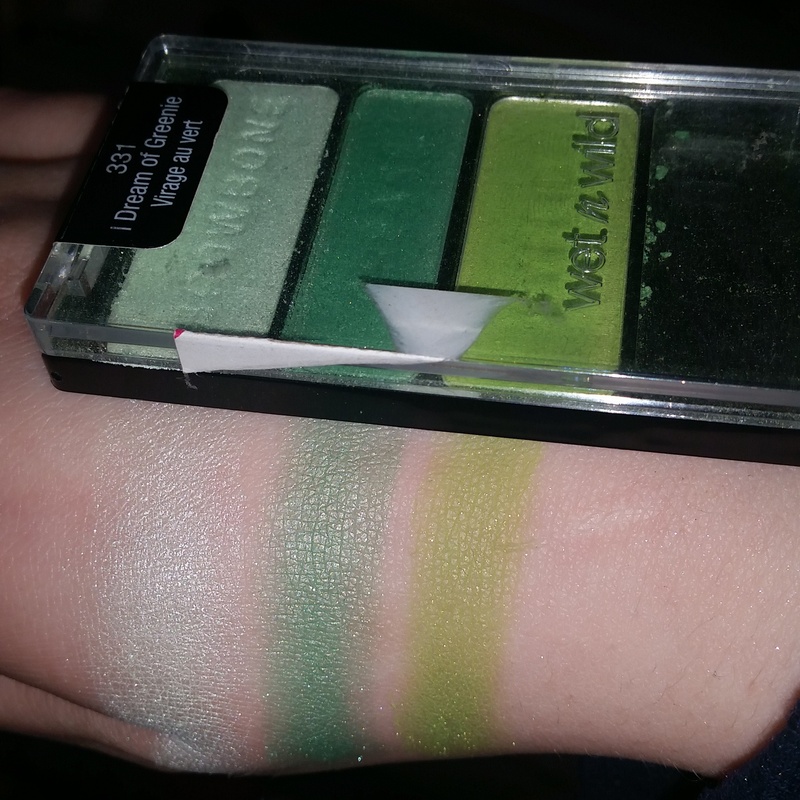 Finally this trio looks really pretty, especially when swatched out, but I have little experience with working with green eyeshadows so I do not really have any opinions on how greens will look on me. The bright green shade looks very noticable and I expect that I will be overly cautious with it in the beginning until I figure out if I can go a bit bolder or use a bit more of a heavy hand with blending being included too. Overall the swatches of all the trios really impressed me. 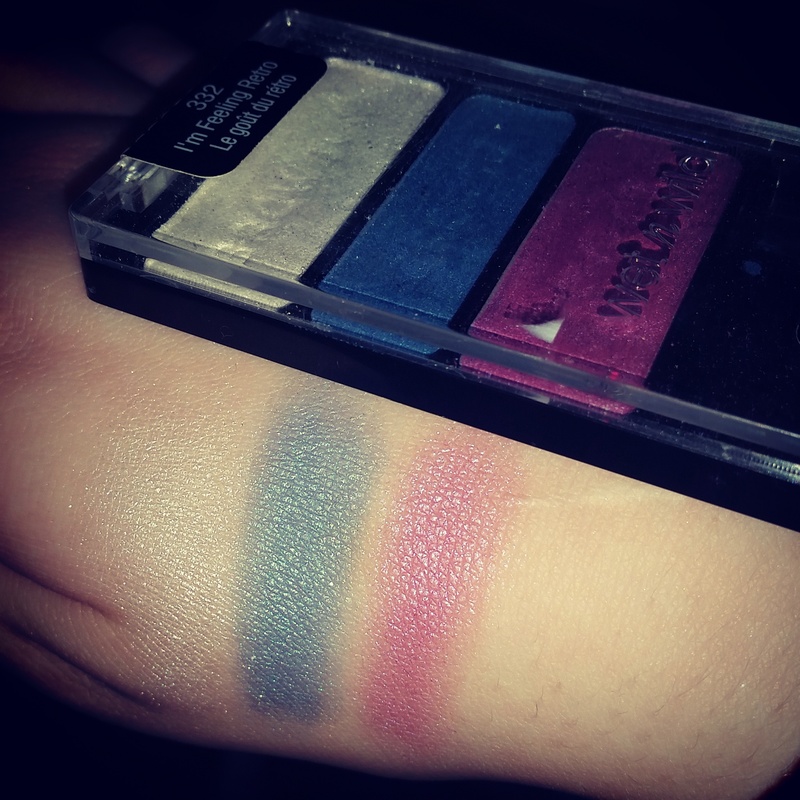 They are super pigmented and generally all have a good quality of formula too. There was the odd one that felt to have a little too much shimmer in or was a touch too dry and powdery but overall I am impressed. I would not go as far to say as they are any better than some of the UK drugstore brands but it is always nice to have a bit of additional variety and the ability to compare. This entry was posted in Beauty, Make Up and tagged affordable, affordable makeup, Beauty, beauty blogger, beauty bloggers, beauty product, blue, cheap, cheap makeup, comparision, drugstore, drugstore makeup, eyes, eyeshadow, eyeshadow pallete, glitter, gold, green, Make-up, makeup swatches, mua, north america, pink, review, shimmer, swatches, uk, uk makeup, us, us makeup, usa, wet n wild, white. Bookmark the permalink.